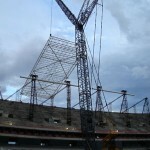 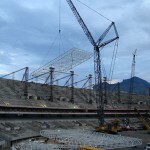 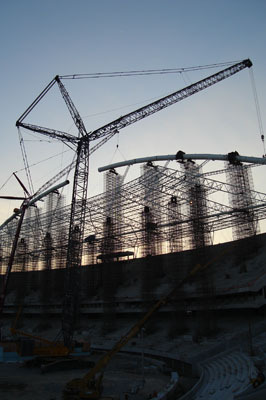 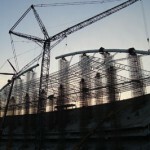 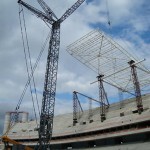 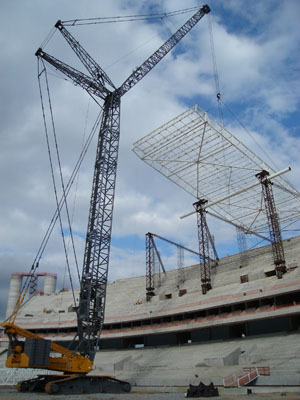 Horizontal and vertical movement of the roof of the João Havelange Stadium – Engenhão, located in Rio de Janeiro/RJ. 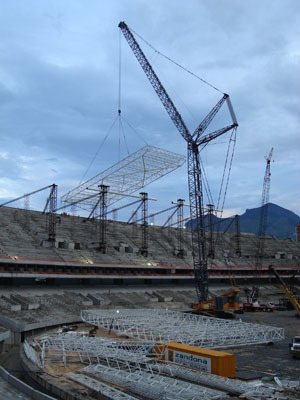 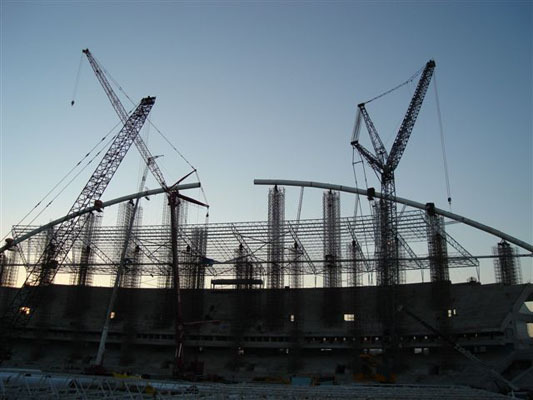 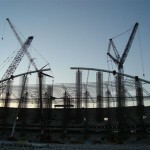 Some large heavy-duty machines with 750 and 440 tons capacity were used in the project. 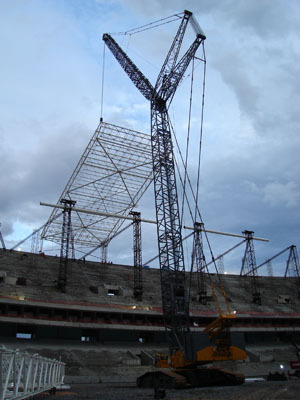 This contract was a security for the enterprise and helped deliver the construction project on time.